"Chronicles of Avonlea" by L. M. Montgomery is a book in the Romance genre, first published 1912. Anne of Green Gables: Also called the Avonlea series, this was L.Montgomery's series starting with Anne of Green Gables, and chronicling Anne's life as she grows up. Notes: A short story collection set in L.M. Montgomery's Avonlea series. 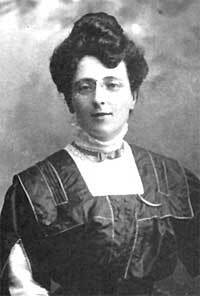 Born 30th November 1874 in Clifton, Canada, L.M.Montgomery is best known for her "Anne of Green Gables" series. However during her life she was an incredibly prolific writer, releasing short stories, poems, essays and even an autobiography. Deeply religious, she suffered from depression in later life and yet her books still brought joy to many. She died on 24th April 1942 and is buried in Cavendish.